Dr. Sandra Braham was appointed as President and Chief Executive Officer of Gulf Coast JFCS in March 2016. Dr. Braham oversees Gulf Coast JFCS’s more than 500 staff members and implementation of the agency’s programs which support families in more than 35 Florida counties. She is a strategic visionary leader with broad experience in organizational development, diversity and staff engagement. Dr. Braham brings more than 20 years of leadership experience in the not-for-profit sector. Before coming to Gulf Coast JFCS, she served for 10 years as CEO of the Young Women’s Christian Association (YWCA) El Paso del Norte Region, the largest YWCA in the nation. In this role, she led 450 employees, managed an annual budget of more than $30 million and supported a $9 million foundation. Prior to joining the YWCA, Dr. Braham served as Associate Vice Provost for Undergraduate Studies and Assistant Vice President for Outreach Programs at the University of Texas at El Paso (UTEP) from 1992 to 2006. At UTEP, she secured more than $20 million in federal and state grants and developed programs focused on helping low-income youth access, enroll and succeed in higher education. Dr. Braham received her Bachelor of Arts in Biology from the University of Missouri at Columbia and her Masters and Doctorate Degrees in Educational Leadership and Administration from UTEP. 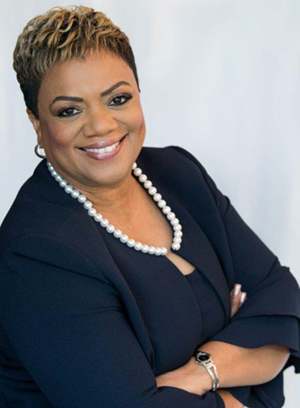 She is a graduate of Leadership Texas, Leadership America and The Harvard Business School’s Strategic Perspectives in Nonprofit Management executive education program. Dr. Braham is a member of The Rotary Club of St. Petersburg, The Greater Tampa Chamber of Commerce’s Women of Influence Committee, The St. Petersburg Chamber of Commerce and The Clearwater Chamber of Commerce. She recently completed her term as a member of The UTEP Alumni Association Board of Directors. Dr. Braham is a native of St. Louis, Missouri and she and her husband are proud to call Florida their new home.